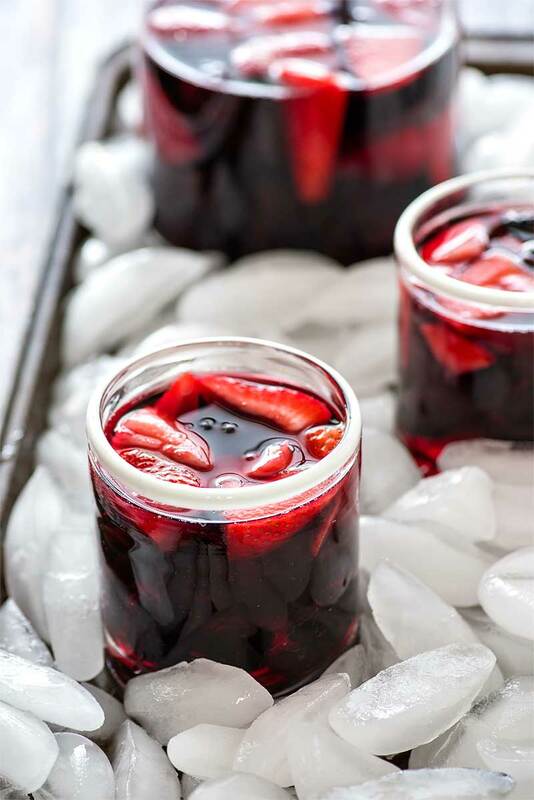 Blackberries and strawberries come together with a sweet red wine and a kick of Absinthe to make this very berry sangria! When my mother was visiting us last March, the three of us (myself, Mom and The Husband) made a trip to Total Wine to spend a gift card that my mother had given The Husband as a belated Christmas present. So while he went off to pick through all his favorite wines my mother and I browsed around and busied ourselves by checking out all the mini liquor bottles. This was the same shopping trip where I picked up ingredients to make Mango Cointreau Sangria and also when we purchased our first bottle of Sambuca (which eventually lead to these Cherry Blossom Cocktails). And, finally, there another purchase we couldn’t leave the store without: our first bottle of Absinthe. Now, I had never even heard of Absinthe until that day – or, at least, had never known that all the “green fairy” references were about Absinthe. But apparently The Husband and one of our neighbors had talked about Absinthe recently and now he was determined to buy a bottle. I was a bit dubious at first, but he sold me on the whole “you pour Absinthe over a sugar cube” spiel. Because, sugar. I’m always game for sugar. We’ve since tried the fabled Absinthe and, sadly, I was a tad disappointed. The Husband did a ton of research on the “proper” way to drink Absinthe and apparently you’re supposed to mix it with a decent amount of water. So we had our neighbor over, made our Absinthe + water + sugar drinks, and I proceeded to sip Absinthe while cooking some chili (which just happened to be this recipe). I didn’t think the Absinthe was bad by any means, just that it taste… well, watered down. So the bottle of Absinthe has stayed on our drink shelf, alone and forgotten, until last week when I was browsing through Sangria Recipes by Lisa Shea and noticed she had Absinthe listed in the recipe index. 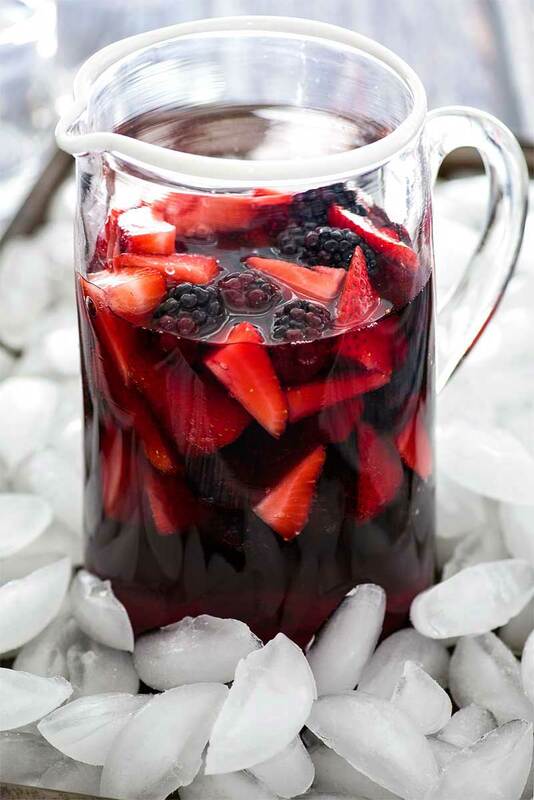 I was immediately intrigued, so I flipped to the first recipe in her book and stumbled upon this beauty: Blackbeard Berry Sangria. I’m not quite sure what the relationship is between Blackbeard the pirate and Absinthe, but hey, the ingredient list alone was more than enough reason for me to try whipping it up. I did make a few changes from the recipe from how it’s printed in the recipe book, though. The original calls for blackberry liqueur, but when I couldn’t find it (seriously, there was every other type of berry liqueur except blackberry) I used blackberry rum instead. I also opted to use one of my favorite wines (Stella Rosa Red) and I couldn’t help but add some strawberries to the mix. And as for how this Sangria turned out: according to The Husband it “tastes like Kool-Aid”, which I’ve learned is just his way of saying that 1) it’s really good and 2) it’s sweet enough to be a proper sangria. So I’d say this drink a success and, even better, it’s a newfound way to widdle away at our bottle of Absinthe. 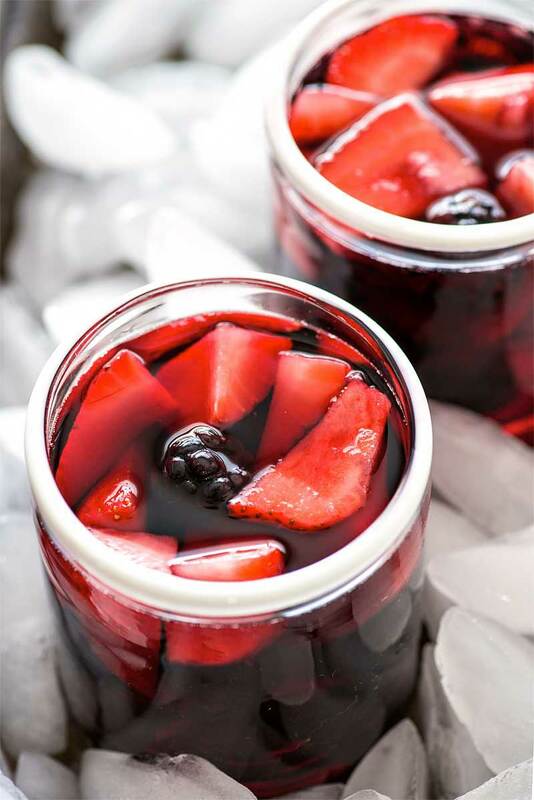 Be sure to check out Sangria Recipes by Lisa Shea for more great drinks! Note: If using Stella Rosa Red or Stella Rosa Black, both of these wines have a hint of fizz, so it's best to mix this drink close to the time it will be served. 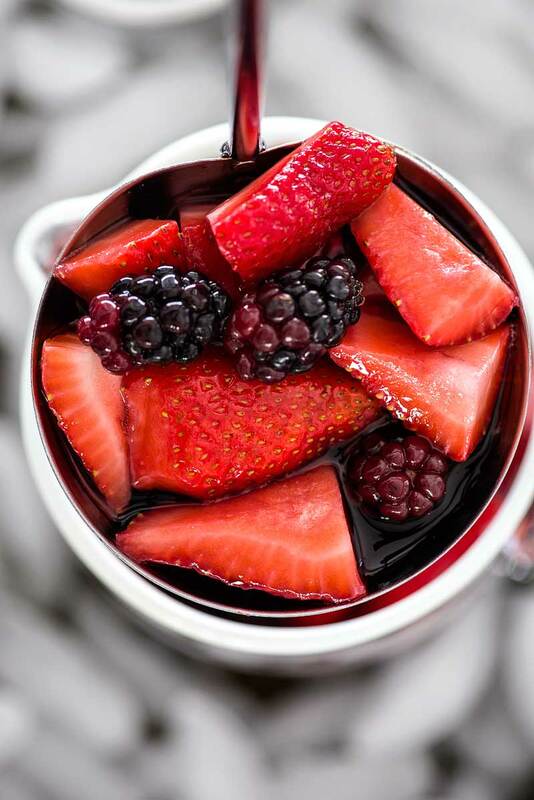 Add blackberries, strawberries (whole or cut), blackberry rum, Absinthe, and 1 bottle of red wine into a large pitcher. Taste test for flavor - given the Absinthe, you may want to add a hint of sugar (1-2 tablespoons max). Give the sangria a quick stir to mix all the ingredients. For best results, cover pitcher and let chill in the refrigerator for 1 hour. Serve immediately with additional fruit as garnish, if desired. Recipe adapted from Sangria Recipes by Lisa Shea. I love all photos you take Chrisy. I’ve heard of absinthe but never knew what it was supposed to be. I probably would’ve tried the sugar cube route, too. 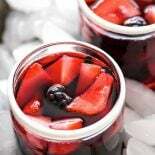 All these juicy berries in the sangria sound like a great way to camouflage the liquor. Those berries, yum!! What a great sangria. I’m loving the fresh fruit in this drink! This is a perfect drink for a summer party! It has been unseasonably cold in my neck of the woods, but this is definitely a cocktail I’d love to enjoy on a lazy summer evening on the patio! Looks amazingly delicious and refreshing! Thanks for the recipe! Is it really 350ml of wine, because you say one bottle, and in my area you usually can’t find bottles under 500ml, and most are 750ml. Hey Nicole, thank you for asking! You’re 100% correct – it should have been 750 but I made a typo and wrote 350. Fixing that right now!